Anyone that reads my blog knows that I am big fan (and regular subscriber) of the Pluralsight training videos. I cannot imagine staying up to date as a programmer without them. At this time, there are only a limited number of courses that cover the Force.com platform (8 to be exact), but I expect new titles will be added very soon. 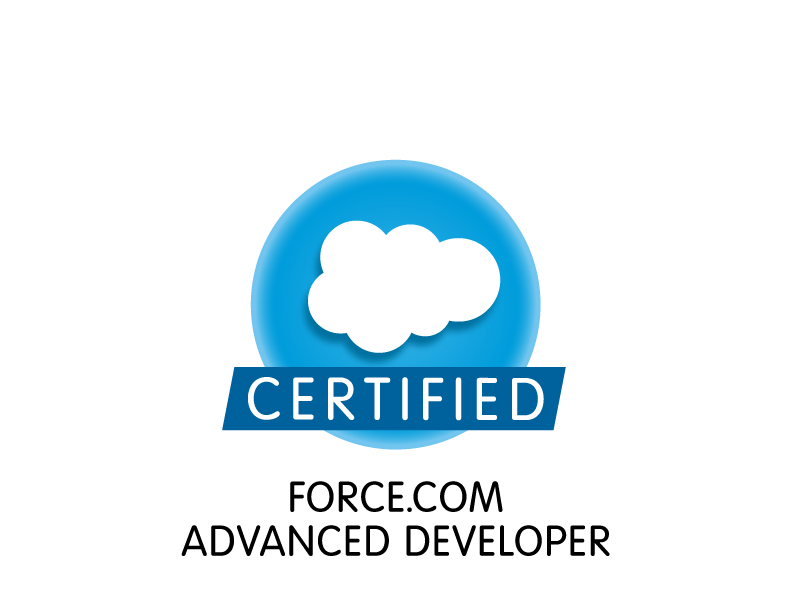 I really think that viewing these courses can be beneficial to anyone studying for the basic or advanced developer certification, or just people working with the Salesforce.com platform in general. These courses can also be valuable to developers (of any platform) that want to determine whether learning more about the Force.com platform is beneficial to them. Pluralsight offers a free trial that allows you to view 10 days and up to 200 minutes of training. That would allow you to view for free at least one, but maybe two of the courses I describe in this post. Below, I will summarize which courses you should view, depending on where you are coming from and what you are trying to achieve. Force.com Platform: The Big Picture by Don Robins – This is a high-level course that would be very useful for someone brand new to the platform. It is short (1 hours and 24 minutes) and would also be of great interest to experienced developers that have not worked with the platform for long. Robins includes a lot of history about Salesforce and does an excellent job of describing the “Perspective Shift” that is necessary for developers that want to be successful on the platform. Force.com For Developers by Richard Seroter – This is the longest course in the series (5 hours and 47 minutes), but it is also the most thorough. It provides a good overview of the entire platform in a very clear and easy to understand way. Seroter covers many topics that are covered on the 401 Dev exams, such as Reports, Workflows and Approval Processes. He also covers topics on the 501 Advanced Developer Exams, so this course would be good for people studying for that exam as well. Force.com Design Patterns – Part 1 by Adam Purkiss – This course is definitely not for beginners or anyone new to the platform. Purkiss talks about advanced topics such as the use of wrapper classes to get around some of the inherent limitations of SOQL. Some of the code walk-throughs were unpolished and appeared to have not been practiced in advance, but the beginning of each section was very good. My favorite section was the one on Trigger Design Patterns. Introduction to Visualforce by Matt Lacey – This was my least favorite course, mostly because the speaker had a heavy accent that was hard to understand. He also rushed through the content and the general audio quality of the video was bad. However, the course did provide useful content that would be relevant to anyone studying for the Advanced Developer exam. Force.com for .NET Developers by Dan Appleman – This course does a very good job of describing the Force.com fundamentals in way that makes sense to .NET developers specifically. Appleman is an experienced author who spent many years creating content for the .NET community, but a few years ago he switched (almost primarily) to working with the Force.com platform. Like myself, Appleman does not dismiss the .NET platform and certainly sees it as still viable, but he also can see the alluring reasons to understand the Force.com platform as well. Force.com and Apex Fundamentals for Developers by Dan Appleman – Unlike the last course that was specifically designed for .NET developers, this course was designed for developers coming from any platform. It is not a course for people new to programming, but attempts to give experienced software developers a head start to writing “GOOD” code on the Force.com platform. Appleman will tell you about best practices and describe real-world scenarios that only come from hard-earned experience. Most importantly, he covers why design patterns used in other languages do not always apply in Force.com. He focuses on the 4 most important concepts (Execution Context, Use of Static Variables, Limits and Bulk Patterns) that you need to know to start working safely and efficiently in Force.com. Patterns of Cloud Integration by Richard Seroter – This is NOT a course specifically about Force.com and instead focuses on many technologies that can be used to accomplish integration with cloud applications (on any platform, Force.com included). This course would be of great interest to any technical architects that need to understand to complexities involved with integrating cloud-based applications. Seroter is no doubt an expert in this field and he covers a variety of tools and platforms (such as Biz Talk Server, Windows Azure Service Bus, Mule Cloud Hub and custom code using .NET, node.js, Java, etc) used to integrate Ground to Cloud, Cloud to Cloud, or Cloud to Ground scenarios. Hi , Came to your website through one of your linkedin post. You have written some good articles. I just wanted to update you about a Salesforce course on Skillfeed. It really helped me a lot. It would be good for your readers if u add that to your list as well.